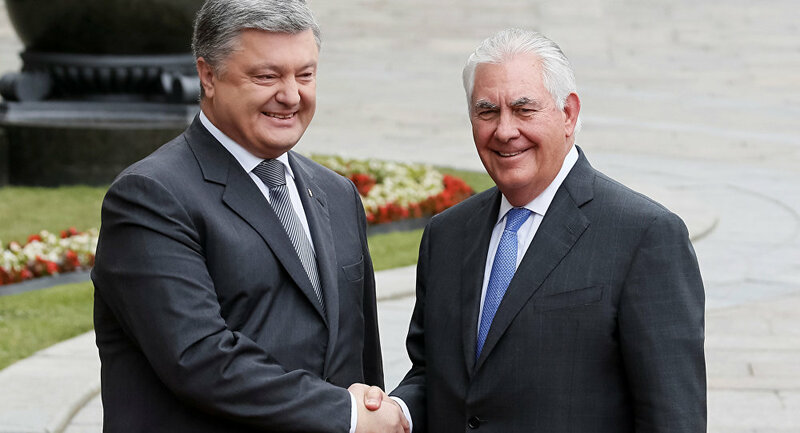 KIEV (Sputnik) — Ukraine expects to receive support from the United States and the Normandy Four countries in the process of settlement of Donbass’ conflict, Ukrainian President Petro Poroshenko said Sunday at a press conference following his talks with US Secretary of State Rex Tillerson. "We stick to the commitments which we have undertaken under the Minsk process and we seek the help from the United States and in the Normandy format," Poroshenko said. Earlier in the day, Tillerson said that the United States is disappointed with the lack of progress in implementation of the Minsk agreements, which is why Washington appointed Kurt Volker as Special Representative for Ukraine Negotiations. 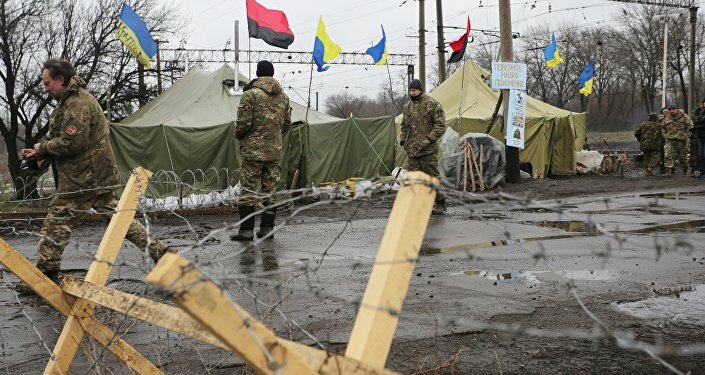 In February 2015, the warring parties to the Ukrainian conflict in Donbass signed the Minsk peace accords in order to cease fire in the crisis-torn region. Germany, France, Russia and Ukraine, as the members of the Normandy Four, helped negotiate the Donbas ceasefire. The truce, however, has been repeatedly breached, with Kiev forces and Donbas militia accusing each other of violating it.